Barker & Cook, P.A. issued the following announcement on Sept. 6. When a company in Florida begins to experience financial struggles, its owners may wish to identify the source of the problem and make budget cuts where necessary. Unfortunately in some cases, these cuts may lead to employee layoffs, and those who lose their jobs under similar circumstances may wish to take steps to ensure they were treated fairly in the process. After his sudden termination, the former CEO of Barnes and Noble has filed a lawsuit accusing the company of breach of contract and defamation. The man claims he was fired from the company after a deal to sell of its assets to another entity fell through. He asserts that once Barnes and Noble was unable to complete the sale, company executives formed a plan to remove him from his position by conjuring allegations of misconduct. He says executives falsely accused him of bullying employees and subjecting an assistant to inappropriate behavior. Once the allegations were set forth, the man was fired from the company without severance pay. He has since accused the company of both defamation and breach of contract and is pursuing nearly $4 million in compensation. However, Barnes and Noble reportedly denies any wrongdoing and states that it acted in accordance with an investigation into reports of misconduct. 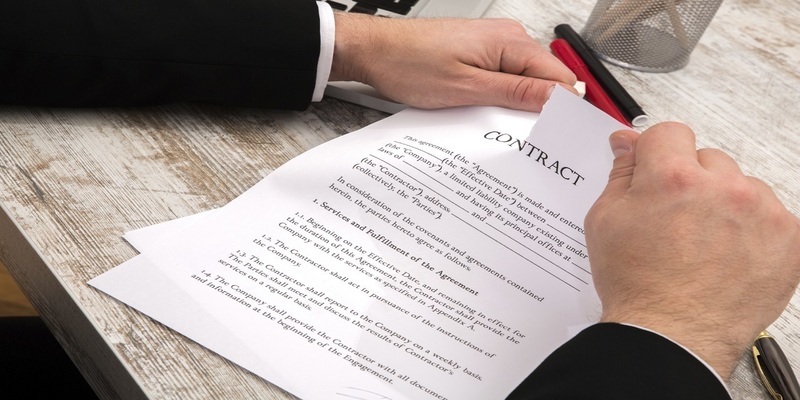 Those who feel that a breach of contract has occurred may wish to know more about the available avenues to help protect their legal rights, but they might be uncertain where to turn for guidance. Fortunately, there are attorneys that can provide a person in Florida with advice on the best course of action with which to proceed. An attorney can examine the situation and assist a client in pursing the compensation entitled through a claim against the party or parties deemed responsible.